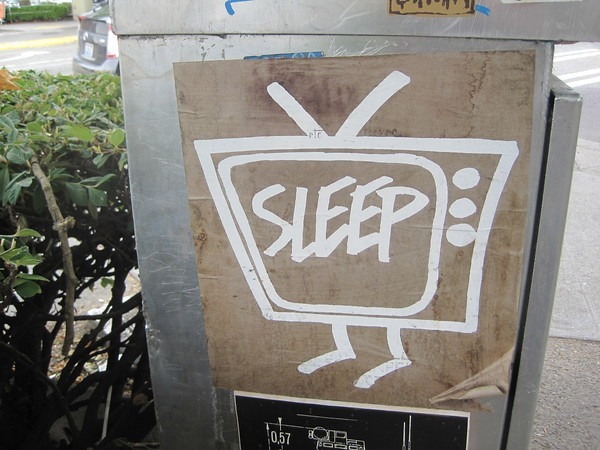 I wanted to share this tip I developed regarding watching TV at night and falling asleep. Some of us like to watch TV at the end of the day to relax before bed. But what relaxes us can also stimulate us just enough to keep us from going to bed. We stay up too late and cut our sleep short. I solved this problem several years ago. Something you’ve already seen before. Rewatching an old Family Guy or Star Trek episode is relaxing, but because you’ve already seen it before, it isn’t novel. There are no consequences to quitting midway through an episode. You know what will happen. You can go to sleep easier. The show must not have commercials. Commercials are novel and often play at a higher volume than the program. If it is a comedy, pick something without a laugh track. If it is a drama, pick something without explosions, gunfire or yelling. Never pick a competition show, be it cooking or sports. Already know what you are going to watch when “last call” for TV arrives. Have the shows ready to go on Hulu or Netflix. YouTube is not recommended because there are too many distractions of recommended viewing as well as comments to read. I have seen every episode of Family Guy, American Dad, Cleveland Show, King of the Hill, and Futurama multiple times. Well, let me say that I’ve seen the first half of each of those episodes multiple times. Usually, I fall asleep halfway into an episode. They are like sleeping pills. For my wife, it’s usually a shopping channel (unless it’s something she might want to buy), religious programming (unless it’s someone she likes), or HGTV (which is often a repeat).